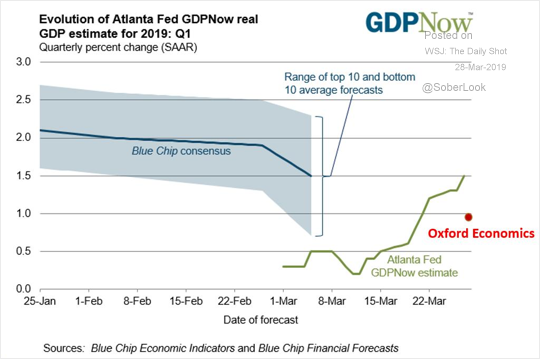 The United States: Atlanta Fed’s GDPNow forecast for the Q1 growth has converged with the economists’ consensus estimate at 1.5%. 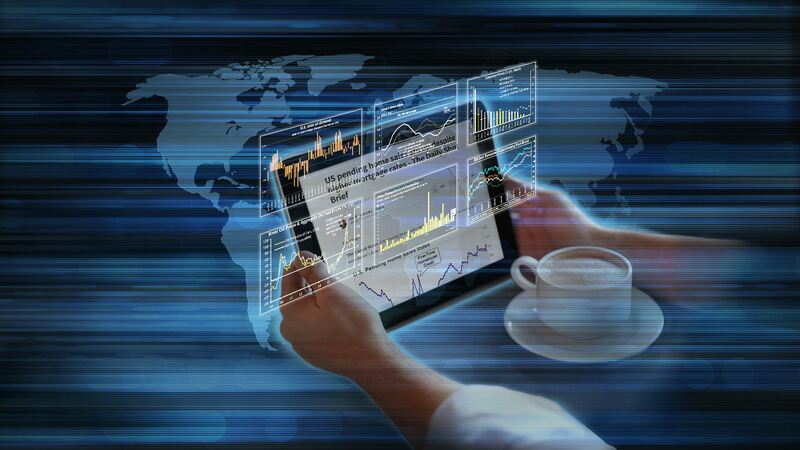 Oxford Economics sees the GDP expansion of around 1%. 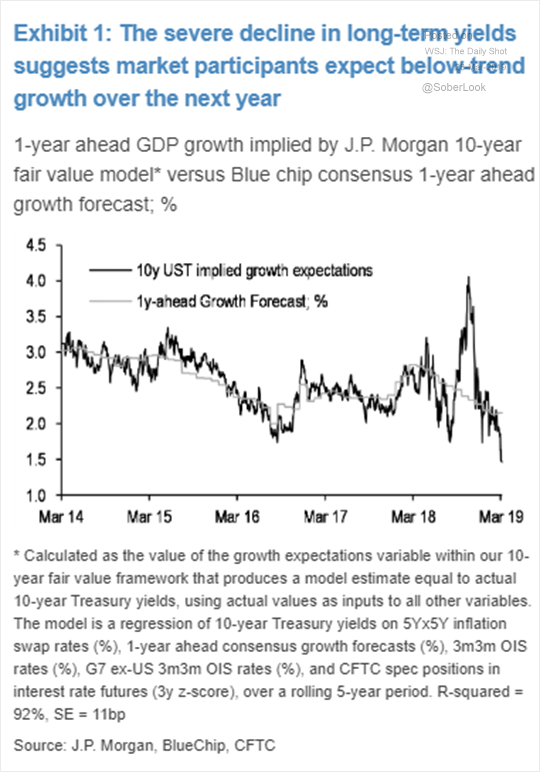 Are the falling Treasury yields telling us to expect much weaker growth ahead? 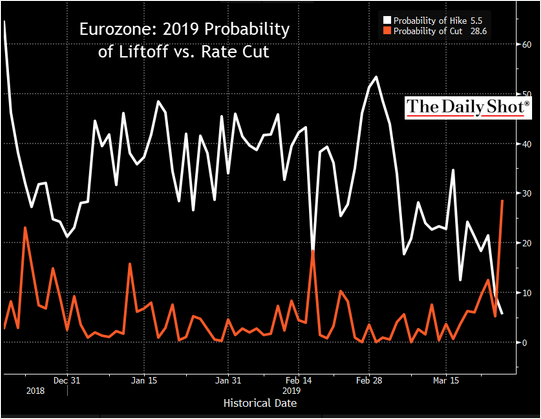 The Eurozone: This chart shows the market-based probability of a rate hike and a rate cut by the ECB this year. 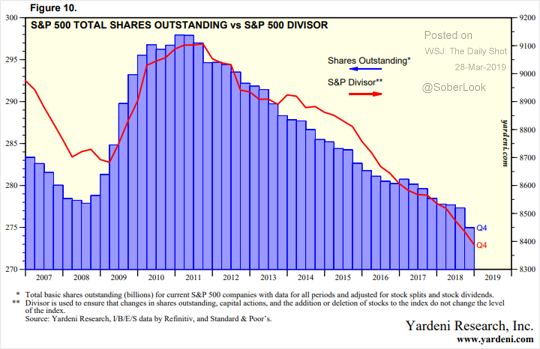 Equities: This chart shows the total shares outstanding in the S&P 500 (the effect of share buybacks). 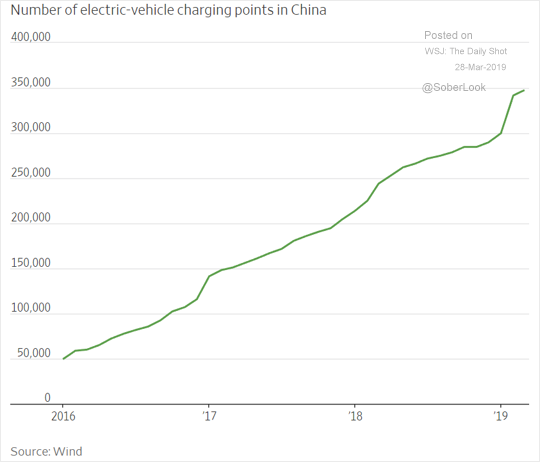 China: The number of EV charging stations keeps rising. 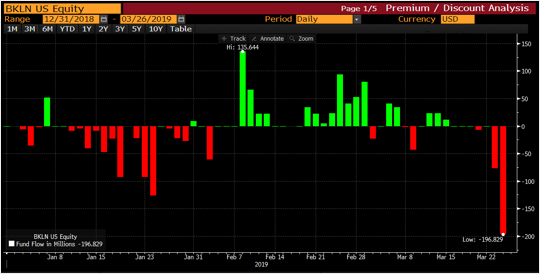 Credit: This chart shows massive outflows from BKLN, the largest leveraged loan ETF. 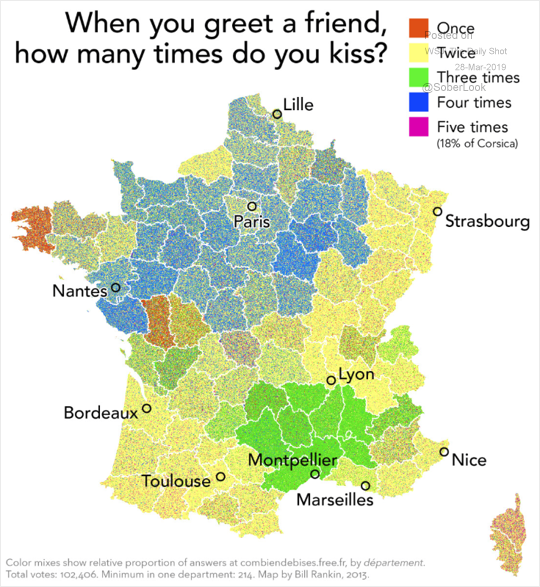 Food for Thought: How many times do you kiss when greeting a friend in France?